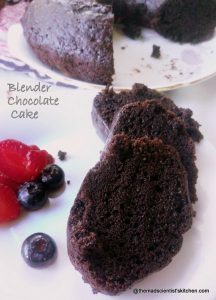 Egg-less Whole-Wheat Chocolate Cake is soft moist and utterly delicious. 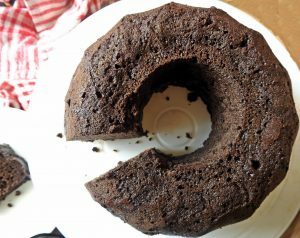 My daughter has told me it is the best cake I have baked until date. My love for sweets has no parallels. I simply can eat, drink and sleep on a sweet diet. My family unfortunately do not enjoy sweets other than cakes. Now since they eat cakes I do bake cakes and chocolate ones are much preferred. However, recent events in my life have forced me to look at healthy options for baking. Yes, I am trying to replace maida or All Purpose Flour with other healthier options. In this background, I remembered Priya who bakes such yummy cakes with whole wheat. 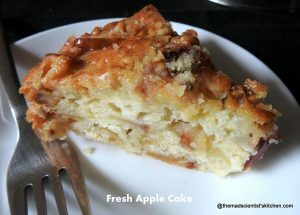 I am featuring Priya’s healthier cake with absolutely no changes. The only change I will make is replace the 3/4 cup sugar with 1 cup, as I generally do not ice my cakes. 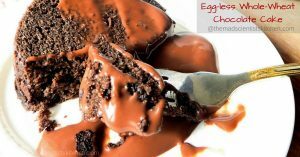 Since it was not sweet enough I served with homemade chocolate sauce. Preheat the oven at 170⁰C. Mix sugar, oil, and buttermilk. Set aside. Grease a Bundt pan or 2 pans of 6 inches. Dust with cocoa. Set aside. Sift together the dry ingredients in a big bowl. Make a well in the center of the flour mix and add the liquid. If you feel the batter is too thick, add 2-3 tbsp of water at a time and fold. 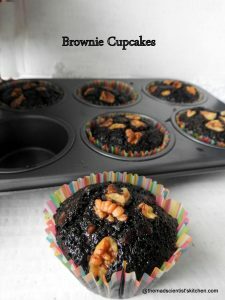 Pour in prepared cake tins and bake for 40-45 minutes. Mix all the ingredients with a whisk. On low flame heat the mixture until bubbles and becomes glossy. Looks delicious arch! Thanks for the mention ❤️ That sauce on top is really tempting ???? The pleasure is all mine Priya! Thanks for answering all my stupid queries. 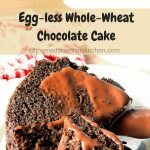 This eggless wholewheat chocolate cake sounds absolute yum! 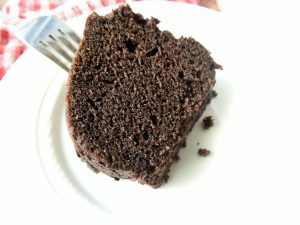 Moist and rich, just need a cuppa! That cake looks so moist and delicious! Using whole wheat is a fabulous plus! 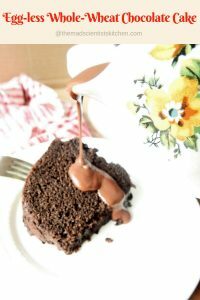 The cholocolate cake looks stunning di ! 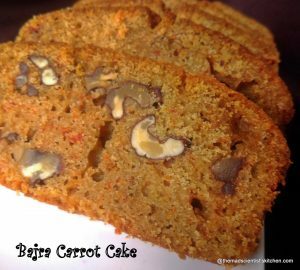 Best part is that it made from wholewheat flour. Lovely share ! 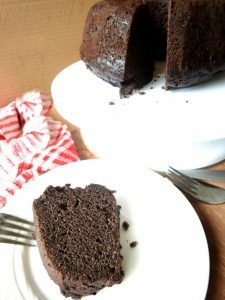 Healthy and delicious chocolate cake.